With the Marine Corps’ 235th birthday around the corner, there’s one former Marine with a message he hopes will resonate during the traditional celebrations this season. Battle Rattle met Patrick T. Brent, a businessman, freelance writer and former officer, in early October aboard the amphibious assault ship Makin Island, where he joined sailors, Marines and officers for San Francisco Fleet Week events. 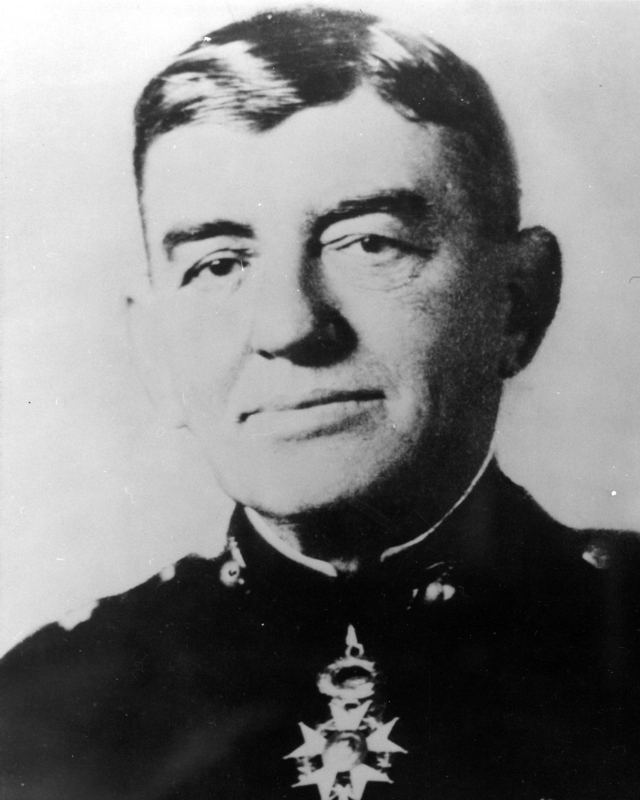 For Brent, it was an opportune time to reiterate a pitch he has been making for the past year or so: reminding folks of the correct pronunciation of that famous division commander and 13th commandant, Lt. Gen. John Archer Lejeune. It’s “LUH-JERN,” insisted Brent, friend of the family whose lineage of leathernecks continues in today’s modern Corps. In the ship’s hangar deck for a senior leadership seminar, Brent grabbed a pen from his jacket pocket and handed it to Battle Rattle. He felt compelled perhaps to make a correction. The three-side pen, in homage to the late commandant, provides this reminder: “The Greatest Leatherneck of them all.” This pen would write in camouflage if it could. Are you kidding me? We have Marines fighting and losing their lives in Afghanistan, and articles are being posted on how to pronounce “Lejeune.” That’s pathetic. Given the current situation, I’m sure Lt. General Lejeune would have put this “pressing issue” on the back-burner. WEAK SAUCE! 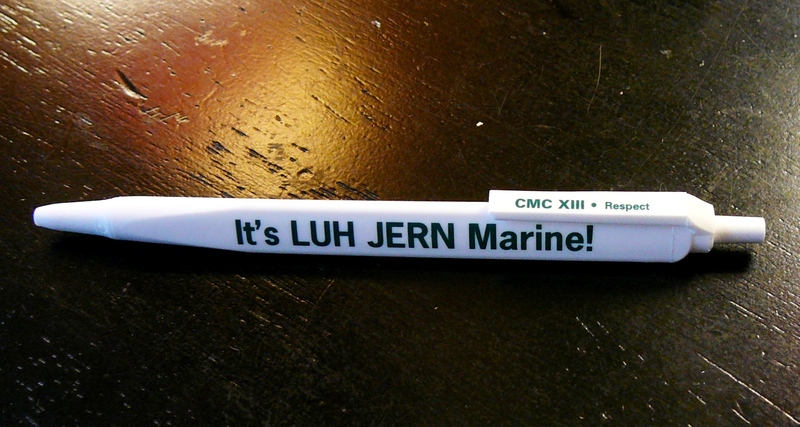 Sorry, Sgt., the Leh Jern/Lejeune pronunciation is part of the larger picture of Marines. It is a matter of RESPECT for the past, the present and the future. Paying attention to the past and the people who sacrificed to make the Marine Corps the what it is does not in any way diminish the Marines who are currently serving and doing their part. It is a big picture and while you are fighting the battles of today, you are also setting the pace and raising the bar for the Marines of tomorrow to respect and follow.